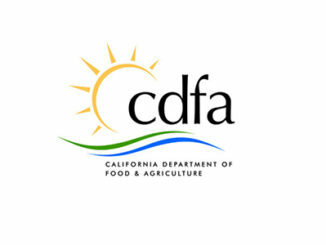 The California Department of Food and Agriculture (CDFA) is now accepting applications for the 2018 Alternative Manure Management Program (AMMP). The AMMP is one of two programs designed by CDFA to reduce dairy and livestock greenhouse gas emissions. The program will provide $19-$33 million in grants to California dairy and livestock operators to implement non-digester manure management practices that reduce methane emissions. Applicants must access the 2018 Request for Grant Applications at www.cdfa.ca.gov/oefi/ammp/ for detailed program requirements and application instructions. CDFA has partnered with the State Water Resources Control Board to utilize its online application site, the Financial Assistance Application Submittal Tool (FAAST). All prospective applicants must register for a FAAST account at https://faast.waterboards.ca.gov to apply. Applications and all supporting information must be submitted electronically using FAAST by Tuesday, May 22, 2018 at 5:00 p.m. PDT.